The Mogami 2932 Multicore Cable with DB25 and 8 Neutrik Female XLR, 5m is a premium-grade 8-channel cable designed for professional audio applications. 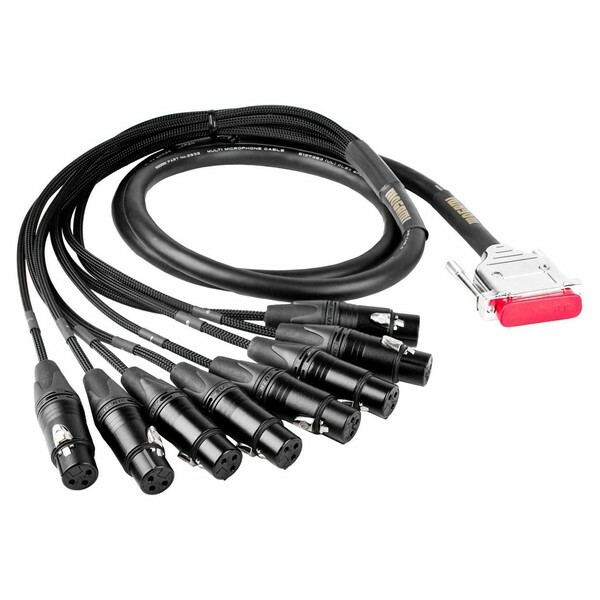 The Mogami 2932 Multicore Cable is ideal for processing digital audio on multichannel audio equipment. The Mogami Cable is designed using high-grade components, ensuring loss-free transmission. This provides optimal audio fidelity for your digital audio equipment. The industry-standard pin-out is compatible with all major manufacturers. The cable comes with a lifetime manufacturer warranty, providing peace of mind, especially for professional use.